What does a Spiritual Master provide? 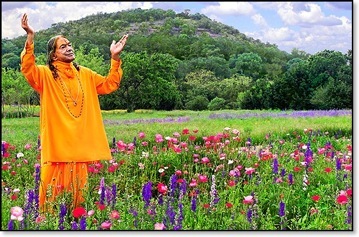 Kripalu ji Maharaj says that The Spiritual Master provides theoretical knowledge; he helps us with devotional practice, removes the obstacles that appear during our , and internally elevates our good sanskarsand suppresses our bad sanskars. He also Graces us with Divine love after our hearts are completely purified. Our Spiritual Master does all the hard work for us. God, on the other hand, is a friend to only the pure souls. God says, “I will be yours when you completely surrender to Me.”. For example, in a traditional Indian family, a father raises, teaches, and gives all the good virtues to his daughter. When she is 18-20 years old, a boy comes and interviews her. He marries her and takes her with him. God is the same way. Devotees say, “Our Spiritual Master has done all this work for us. Therefore if God and Guru are standing before me, I will bow down to my Guru first. Glory to my Guru!” Our problem is that since eternity either we did not find a Saint or did not surrender to him. Due to this, we have not attained our main goal of receiving Divine love and eternal service toRadha-Krishn. We have met uncountable Saints since eternity still we are rotating in the cycle of birth and death. God is not senior to the souls. Since God has existed we have existed. Since when has God existed? God existed before time. God is eternal, and so is the soul.